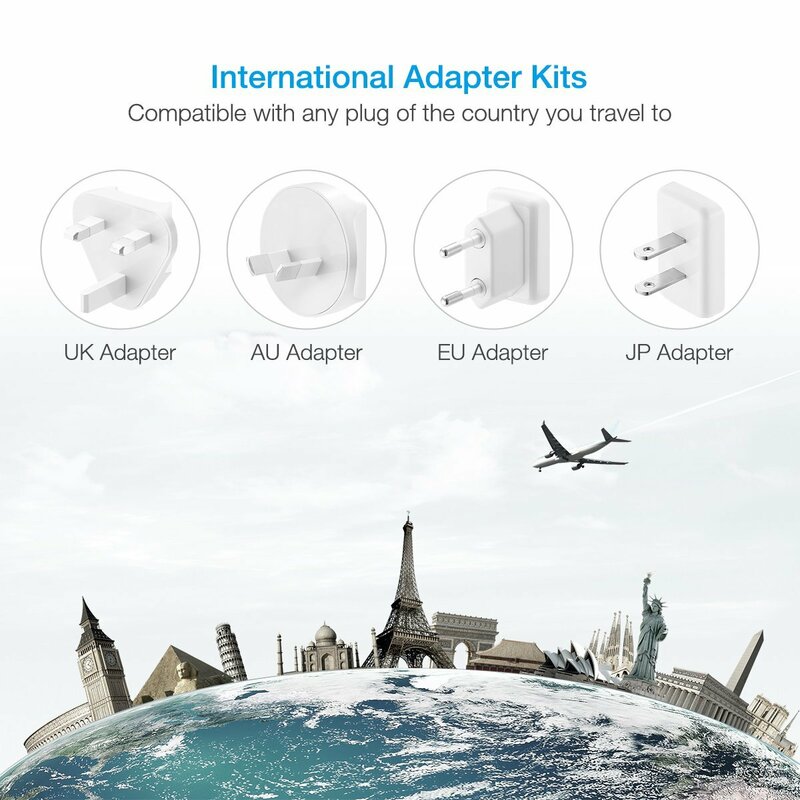 Worldwide travel 4 USB port wall charger for iPhone, iPad, Samsung Smartphones, Cameras and other USB Devices. 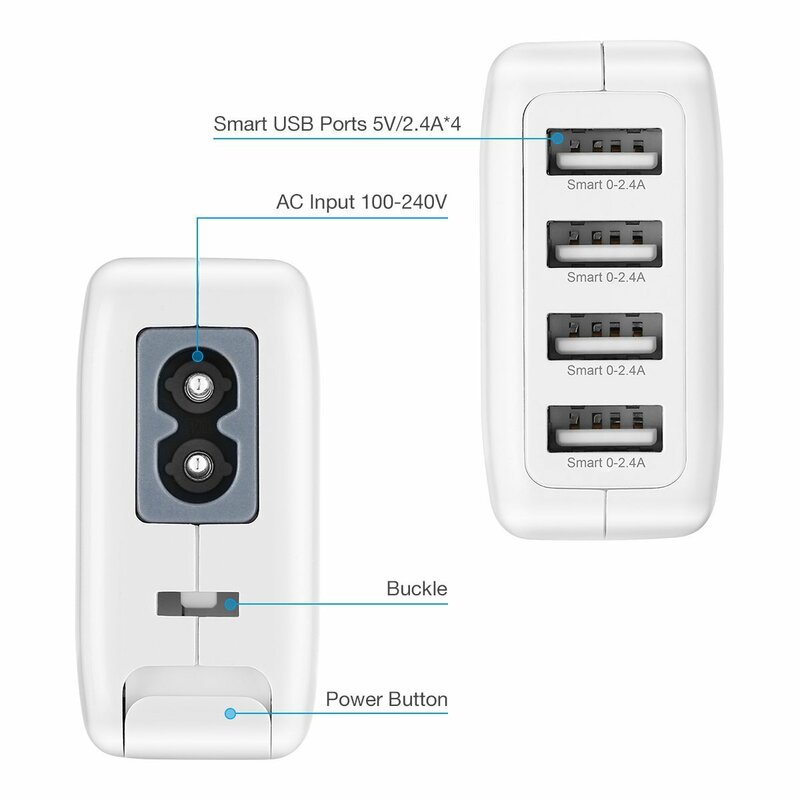 4 Smart USB Ports: This multiple USB adapter can charge 4 devices simultaneously with 2.4A output per port, 24W 4.8A output for maximum. 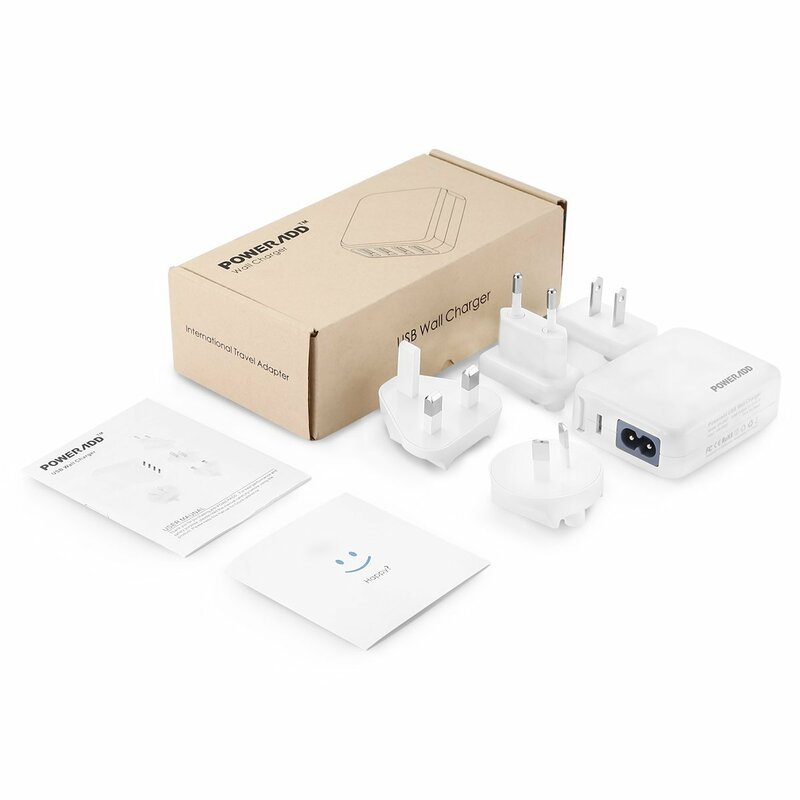 Worldwide Voltage: It comes with US, UK, EU and AU plugs for 100-240V worldwide voltage. You can use it in USA, Europe, Canada, UK, Germany, France, Spain, Australia, China, Mexico, Brazil, Korea, United Arab Emirates, Caribbean, Israel, Ireland, Hong Kong, Singapore, Malaysia, New Zealand, Thailand etc. 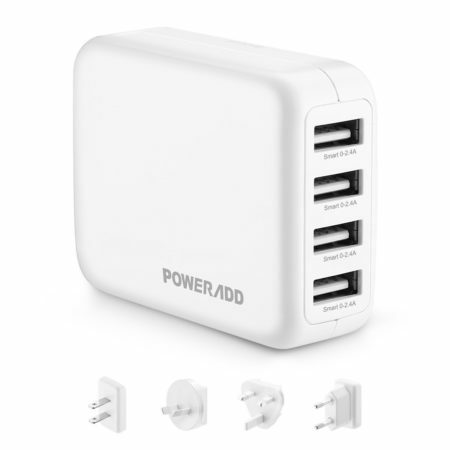 Portable Size for Travel: This multi output usb charger has a light and portable design, 2.8 * 2.2 * 1.1 inches/0.19 lb, ideal for home, business trips and travel. 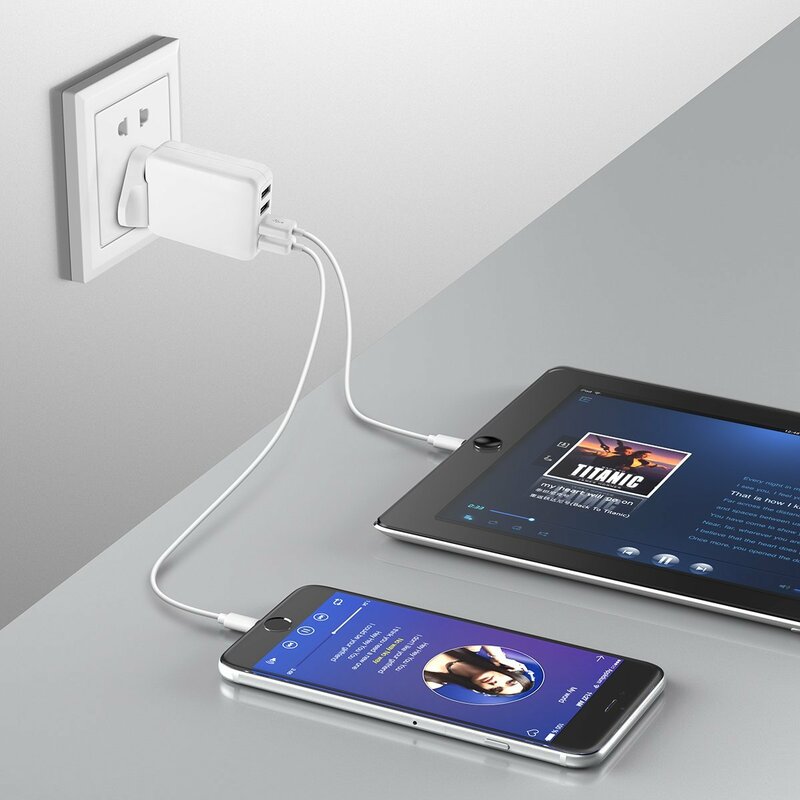 Smart USB Charger: It can automatically deliver the maximum charging current for your devices. It’s widely compatible with iPhone 7/7 Plus, 6/6 Plus, 6S/6S Plus, iPads, iPods, Samsung S7/S7 Edge, Android smartphones and device, tablets, Bluetooth speakers etc. This Poweradd multi port USB wall charger is equipped with reliable protection system which has protection against over current, over voltage, over loading, over heating and short circuit issues. This USB adapter has good quality assurance with RoHS, FCC and CE certificates. 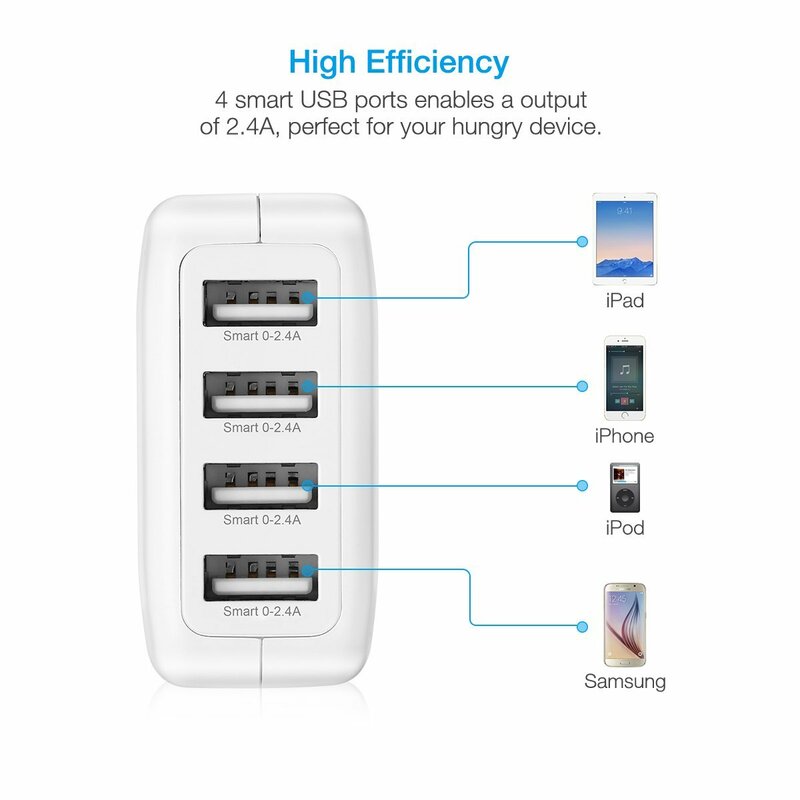 The 4 port USBcharging station has an ergonomic, compact and portable design. 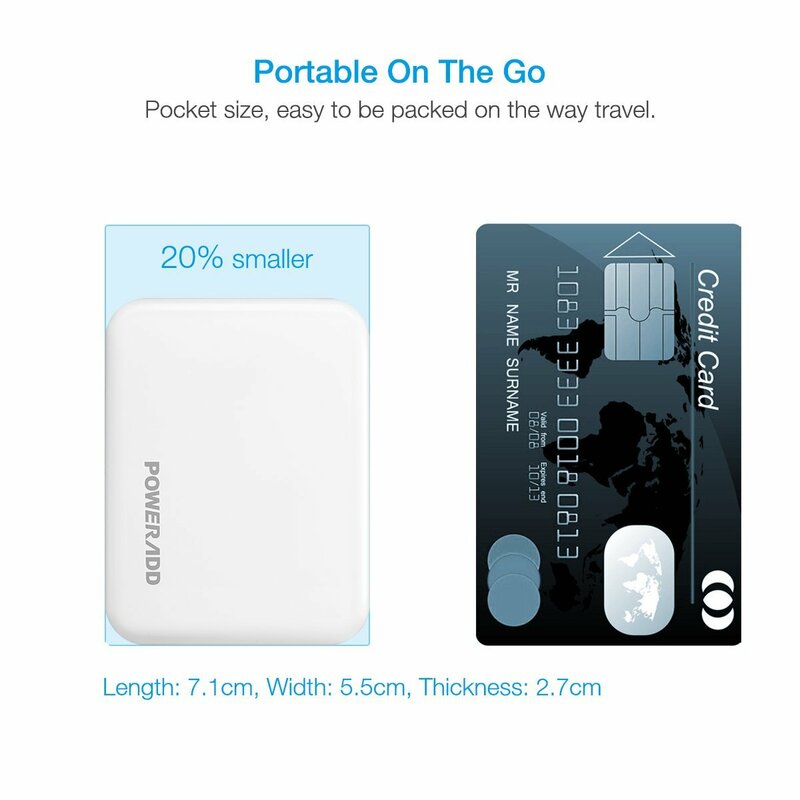 The whole size 2.8 * 2.2 * 1.1 inches is much more space-saving and better-organized for charging multiple devices conveniently. 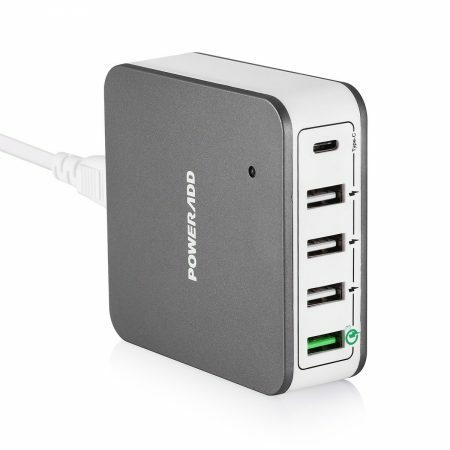 Please use this multiple USB port wall charger indoors, in some dry and well ventilated places. Please don’t use it in aquariums or places near water. Risk of fire: Please do not use it for devices that demand higher electrical ratings. This charger doesn’t support voltage conversion. 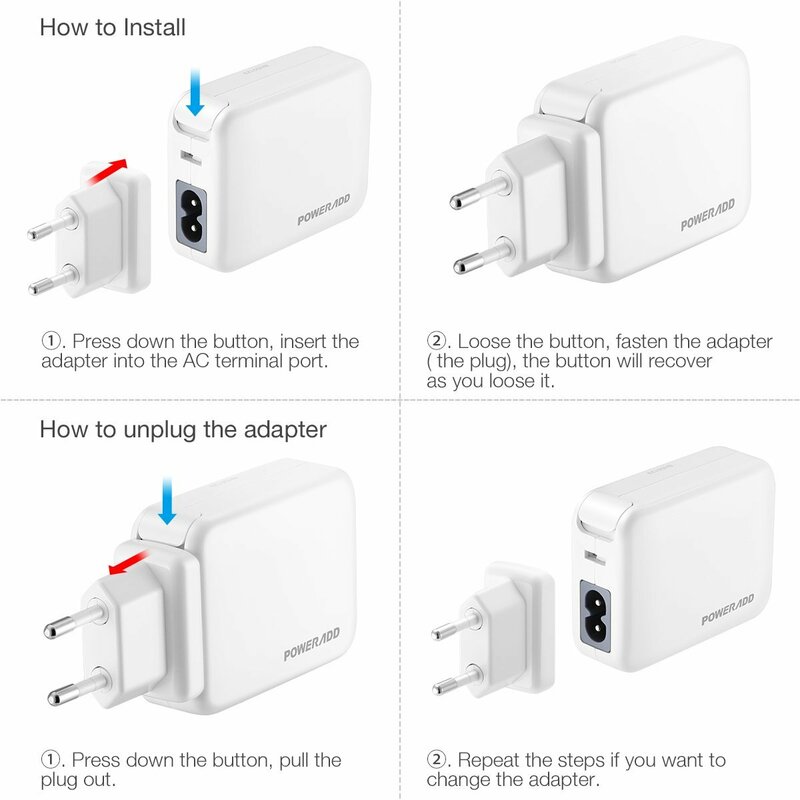 The EU adapter is only compatible with 2-prong outlets in Europe, NOT for 3-prong outlets. This charger doesn’t work in Italy, Switzerland, South Africa or other 3-prong outlet countries.